Fishing is one of the major contributors to habitat damage in the Mediterranean Sea. Most of this damage comes from trawling operations. 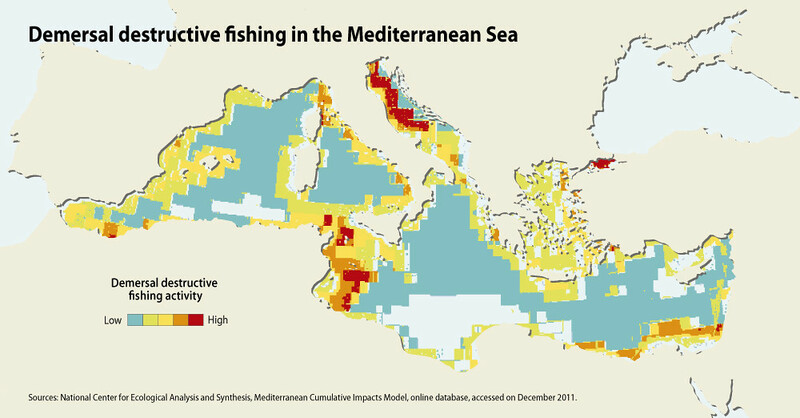 Since fishing is most intense in the Western Mediterranean, it is not surprising that impacts on marine habitats are particularly severe there (UNEP/MAP 2012). Benthic, or sea-bottom, habitats and the communities associated with them are especially vulnerable.